Lying on the shores of freezing Lake Michigan the city of Chicago is one of the most iconic cities in the United States of America. The settling for hit musical ‘Chicago’ and epic TV drama series ‘The Good Wife’, Chicago is a versatile and vibrant city that has a lot to explore. Once you have ticked off Navy Pier, Millennium Park and the Willis Tower it’s time to look a little further afield. Being right in the heart of the USA means that Chicago makes for the perfect base for further exploration. From breweries to national parks, from lakes to off the beaten track towns, let’s take a look at a selection of the best day trips from Chicago. 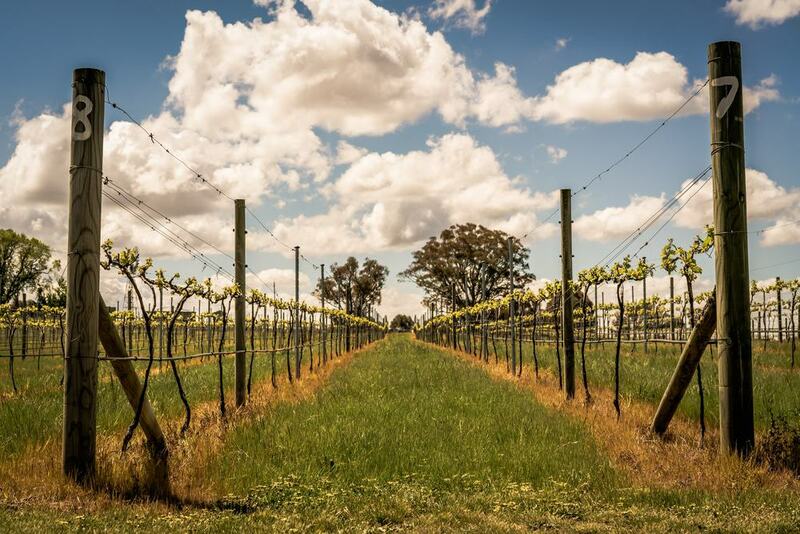 Giving the well known wine regions of Sonoma and Napa a run for their money, little ole Michigan is becoming a thriving hub for vineyards and wineries. Did you know that south west Michigan has over 20 different wineries? It’s making quite the statement. After the hustle and bustle of Chicago a day spent meandering through the vineyards and of course having your fair share of taste testing, offers a welcome contrast and a real breath of fresh air too. Michigan is home to a different species of grape; hardier to the cold than those used across France and California Michigan’s wines are distinct and rather palatable. Just like Chicago, Milwaukee too lies on the shores of Lake Michigan but provides a completely different lakeside ambiance. 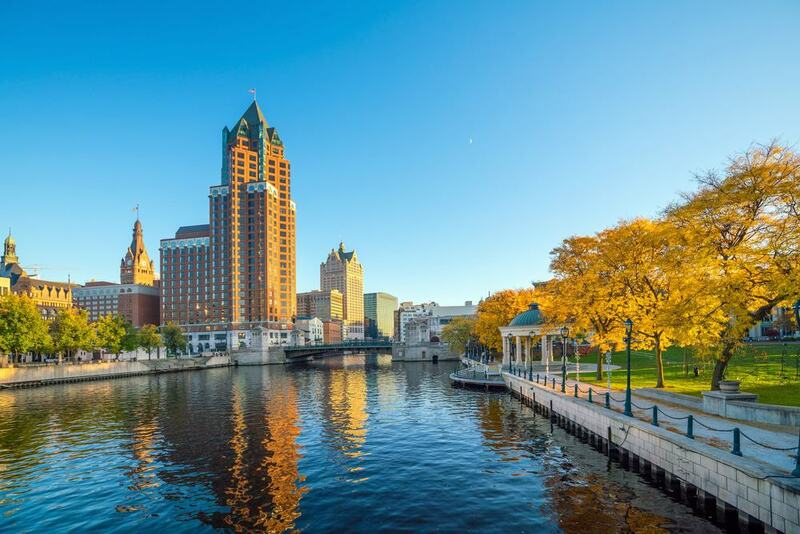 Milwaukee is a great day trip from Michigan for all the family, there’s genuinely something for everyone. Milwaukee will be high on the bucket list of all you bikers out there for it is the home of the Harley-Davidson Museum. The Milwaukee County Zoo and Discovery World are fantastic interactive and educational places to visit with kids and have plenty to keep the adults entertained too. The Milwaukee Art Museum is an impressive artistic structure in its own right but should you stray inside you’ll find the works of Georgia O’Keeffe and many more. If you like to get into the great outdoors and get active then a trip to Oglesby is certainly in order. 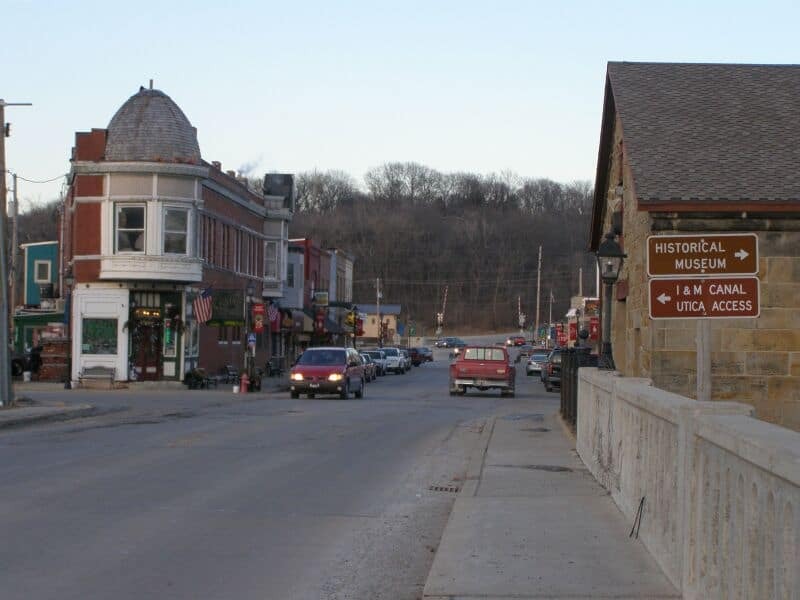 A sleepy town nestled on the conference of the Vermillion River and the Illinois River, Oglesby has a wealth of hiking and biking trails to explore. Saddling the space between Starved Rock State Park and Matthiessen State Park outdoor enthusiasts are spoiled for choice as to where to start on a day trip to Oglesby. Everything from hiking to kayaking, from pony trekking to rafting can be arranged in this quaint town. Home to just over 3000 people, locals are keen to offer directions and share their favourite trails with visitors. 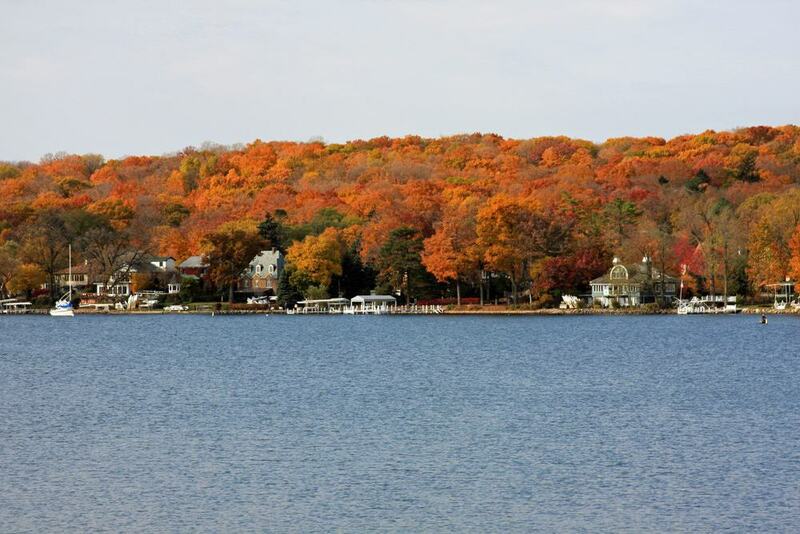 Located just west of Milwaukee is the charming city of Madison. Home to the Wisconsin State Capitol and the truly beautiful Olbrich Botanical Gardens a day trip to Madison is steady paced and full of cultural experiences. It is possible to take a tour of the State Capitol and it’s highly recommended that you do gain insights into the political system of the USA and learn about the influential historical figures who once roamed the corridors and occupied the impressive office spaces. With Lake Monona on one side and Lake Mendota on the other there’s no escaping the lakes of the mid-west when in Madison. 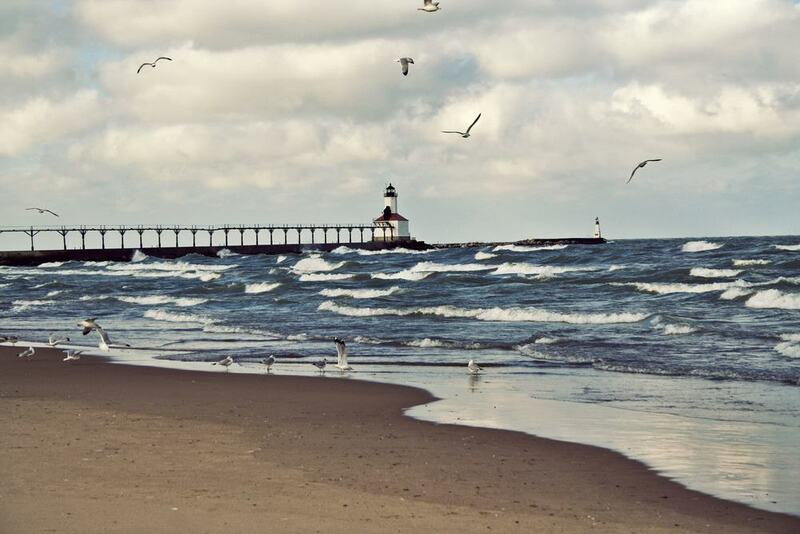 Michigan City is a thriving city that too lies on the shores of Lake Michigan; on the south-eastern side, unlike Chicago that lies on the south-west shore. The Old Lighthouse Museum is a great way to spend an afternoon and is home to a great selection of exhibits featuring local history and maritime history too. There’s some fascinating, and heartbreaking, accounts of shipwrecks from yesteryear. The Washington Park Zoo spans over 15-acres and is home to tigers and native grizzly bears too. 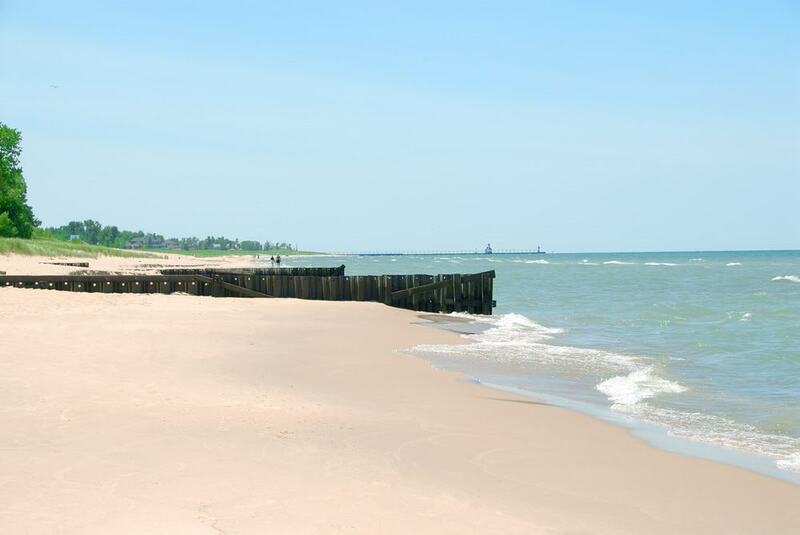 If you fancied an overnight trip you could explore Michigan City on day one, then before heading back to Chicago on day two head to Indiana Dunes National Lakeshore. There are very few true villages in Illinois but North Utica is one of them and is something of a hidden gem. Home to just 1,300 people this sleepy village has a lot to explore. Nestled on the border of the Starved Rock National Park, and naturally a short distance from Matthiessen State Park too, North Utica is perfect for lovers of the great outdoors. The Illinois River Winery is a popular spot to visit and a great opportunity to expand your cellar. For those interested in local history then the La Salle County Historical Society & Museum is not to be missed. When looking for directions be sure to confirm to your GPS that you want directions to Lake Geneva WI, not Lake Geneva in Switzerland; you’d have more than a day trip from Chicago on your hands, that’s for sure. Should you need to stretch your legs after the 1.5 hour drive from Chicago swing by neighbouring Williams Bay. From here you can stroll the length of the lake’s shore without being disturbed in the slightest. If you want a taste of the high life then make a beeline for Baker House, an exquisite Victorian mansion built back in 1885, they serve up a delightful selection of cocktails that provide the perfect accompaniment to the view. 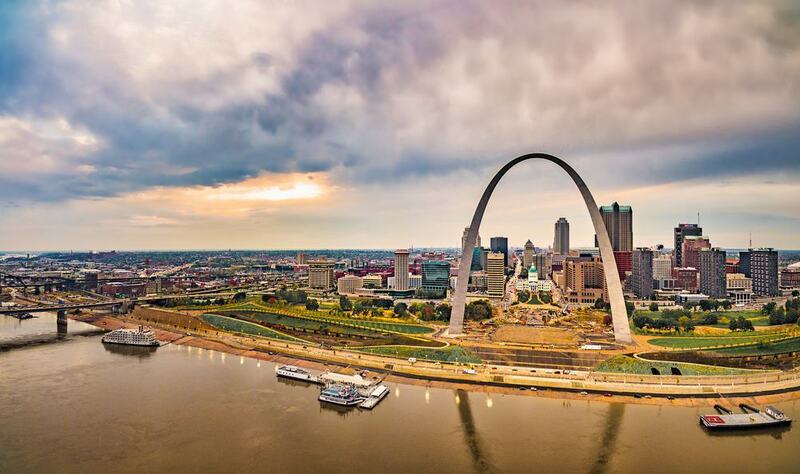 If you’re keen to tick off as many US states as possible then a trip to St Louis would see you cross Missouri off your list. St Louis is an exciting city home to the impressive, iconic Gateway Arch. If you don’t suffer from claustrophobia then take a trip up and round the arch itself. Not for the faint hearted but the views are well worth the heart palpitations. With your feet firmly on the ground then you can head to the Missouri Botanical Gardens or Forest Park. St Louis has its own Hard Rock Cafe which makes for a great lunch spot. That said, for the most authentic St Louis food you should head to the Soulard district and try out one of the many BBQ restaurants. Traversing 297-acres the Apple River Canyon is quaint by name and by nature. Providing a welcome calmness away from busy Chicago Apple River Canyon can be found in northwest of the state. 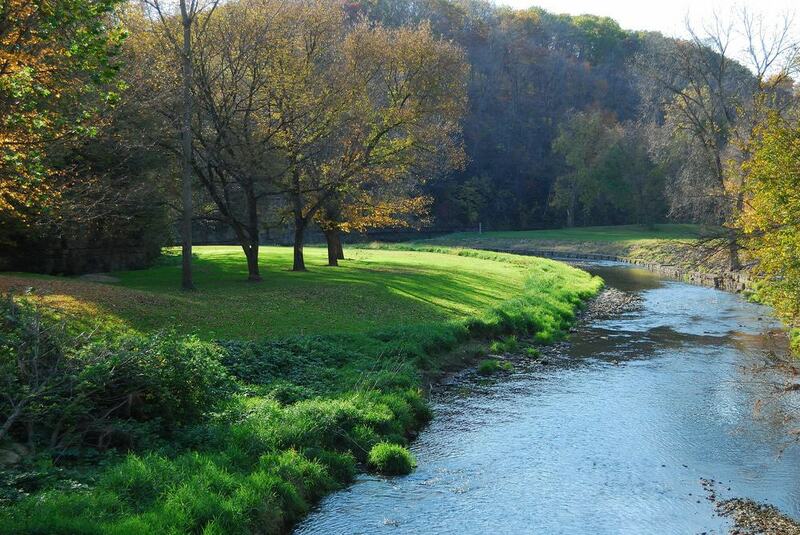 Featuring lush, green, rolling hills, creeks and criss crossing rivers aplenty Apple River Canyon is a great way to reconnect with nature and escape the city smoke. There are five main trails through the park whose condition can vary across the seasons, be sure to read the updates at the visitors centre before you head out. Avid anglers should be on the lookout for trout and bass in the rivers; such a treat. 10. The Blaum Bros Distilling Co. The Blaum Bros Distilling Co. The town of Galena has a rich history when it comes to distilling spirits and brewing beers, it’s quite the boozy town in fact. 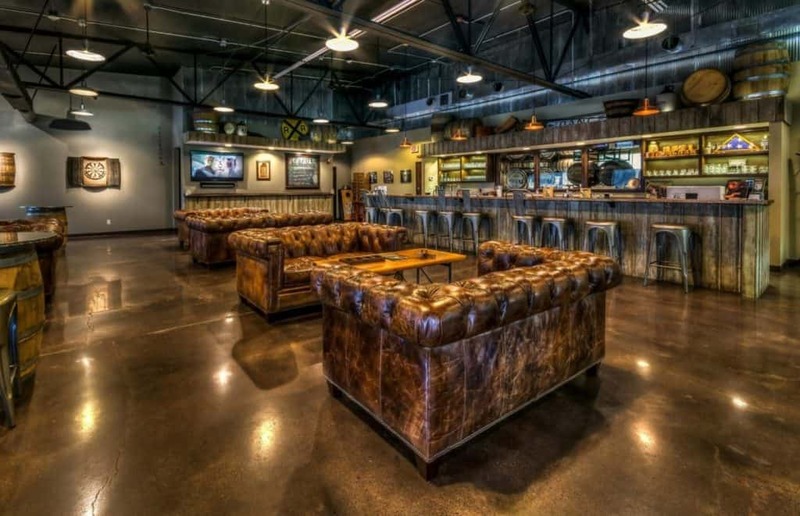 If you’re keen to sample some of the best booze being produced in the midwest then a visit to the Blaum Bros Distilling Co. is a great day trip from Chicago. Strictly for over 21s only, during the tour of the distillery you’ll not only get to sample the brother’s gin, bourbon and legendary moonshine but also learn the creation process; from grain to glass and everything in between. The team also share some great cocktail making tips that should be noted down. Tucked away on the conference of the Illinois River and Fox River Ottawa is best known as being the gateway to Starved Rock State Park but it’s certainly a destination in its own right. The Dayton Bluffs Preserve is a picturesque park featuring geological bluffs and resultantly mini waterfalls in the middle of the dense forest. If you fancy a romantic dinner then book yourself a candlelit table at Monte’s Riverside Inn. The Sunfield Restaurant serves up cracking American classics for lunch. Well deserved after a decent hike in the Dayton Bluffs. Voted at the number 1 attraction in all of Illinois, Starved Rock State Park is a must-visit, a highlight of all the day trips from Chicago. The hiking trails are some of the best in all of the United States of America and although some are challenging overall this is a really accessible park. 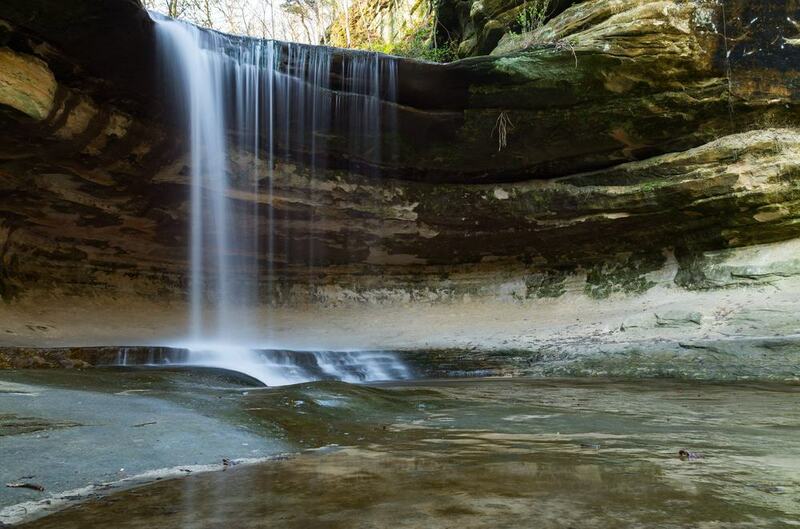 Starved Rock State Park featured a whopping 18 canyons each distinct and beautiful in their own way. Some feature waterfalls, others are speckled with moss. The bluffs and canyons have been created by glacial meltwater that has sliced through the landscape like a hot knife through butter. 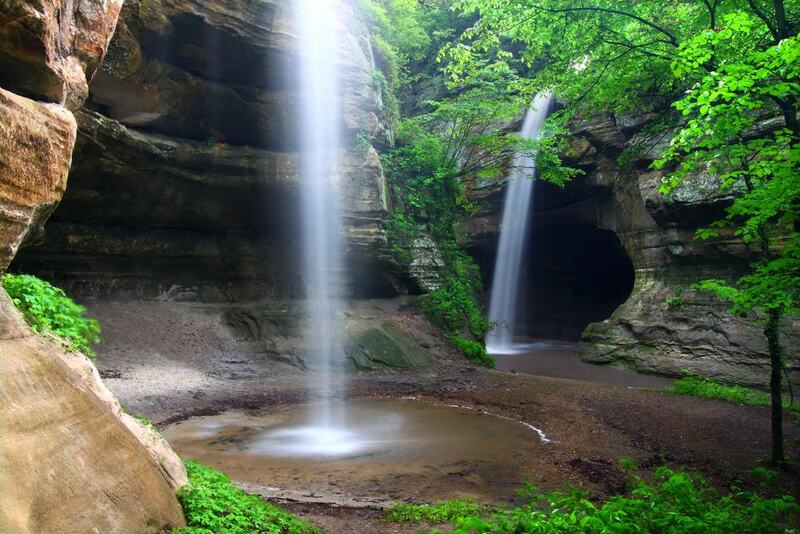 A nature lover and geography geek’s paradise, Starved Rock State Park is not to be missed. Falling on the east of Lake Michigan is Grand Rapids, undoubtedly one of the best cities to live in the USA. Increasingly popular and developing fast, Grand Rapids is a modern city home to a diverse set of communities and in turn a diverse range of cultures too. Beer lovers will be in heaven in Grand Rapids, home to dozens of craft breweries you could easily spend a day trip from Chicago sampling some of the city’s innovative and award-winning brews. The Frederik Meijer is a real gem, a sculpture garden that spans over 158-acres and often provides a backdrop for comedy shows and live music concerts. Depending on your preference you can either walk then drink, or drink then walk during a day trip to Sawyer. Home to a number of great craft brewing companies, namely the Greenbush Brewing Co and the Journeyman Distillery, Sawyer is a bit of a haven for small-scale liquor houses. Wine lovers shouldn’t miss a chance to visit and learn about the winemaking process at Round Barn Winery that lies just outside Sawyer township. You’ve got to earn your booze so before you take your place at the bar perhaps spend a morning exploring the Warren Dunes State Park and swish your toes between the soft, creamy sand. What better way to work up a thirst? 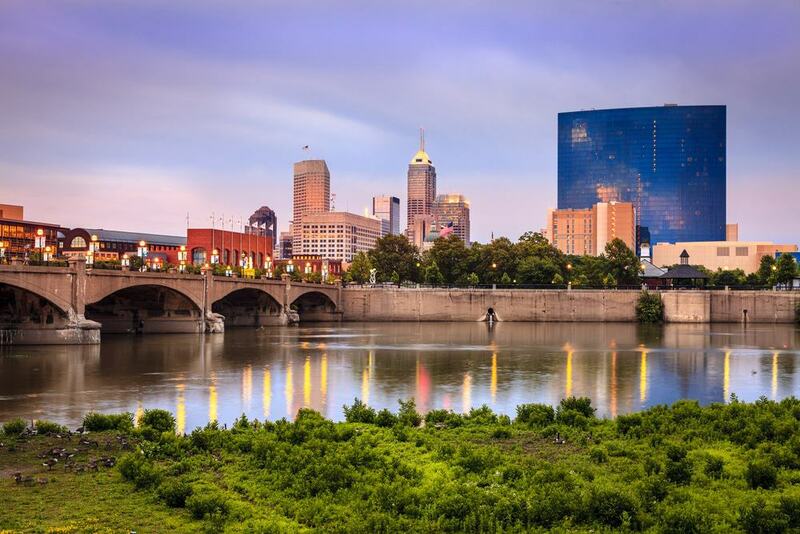 If you’re an avid city slicker then a day trip to Indianapolis from Chicago will certainly keep the city vibes in check. Engine enthusiasts may be interested in visiting the Indianapolis Motor Speedway, the world’s largest racetrack; pretty impressive. The White River State Park in the heart of Indianapolis is a lovely, calm way to spend an afternoon. Featuring water features, gardens and more you can explore the park however you choose. Throughout the park there are vendors offering bicycles for hire and gondola rides too. Should you be feeling a little more adventurous then hire a Segway and whizz around the smooth paved paths, great fun.